He faces charges of sharing the gunman’s live-stream and posting a photograph of one of the mosques attacked with the message “target acquired” along with other chat messages “inciting extreme violence”, the Herald reported. Meanwhile, New Zealand’s Cabinet has backed changes to gun laws in the country just three days after 50 people were killed in shootings at two mosques in Christchurch. Police have also confirmed they believe “absolutely” that only one perpetrator was responsible for the attacks during Friday prayers. Brenton Tarrant, a 28-year-old Australian, has been charged with murder and appeared at court on Saturday. He was remanded until April 5. On Monday, prime minister Jacinda Ardern said the Cabinet had made “in principle” decisions about gun law reform, with further details to be announced by next Monday. “This ultimately means that within 10 days of this horrific act of terrorism, we will have announced reforms which will, I believe, make our communities safer,” she said. 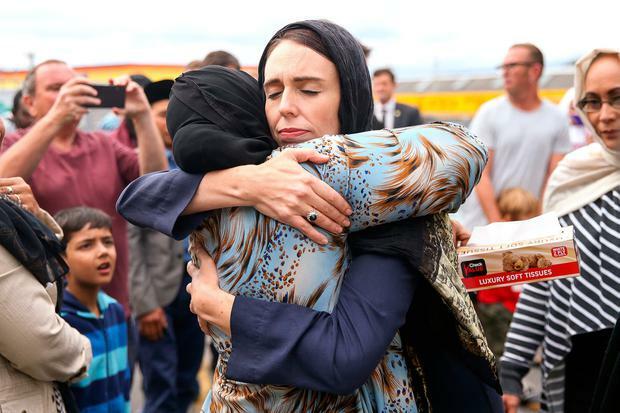 Ms Ardern said the Cabinet was “absolutely unified”, and said the shootings had “exposed a range of weaknesses” in New Zealand’s gun laws. She added that there would be an inquiry into the events leading up to the attacks. It also emerged that the alleged perpetrator bought four weapons online from a gun store in Christchurch. David Tipple, owner of Gun City, said the alleged gunman bought four “A category” firearms and ammunition through a “police-verified online mail order process”. Mr Tipple told reporters: “I returned from Europe on Saturday and immediately searched all our purchase records and found the alleged gunman’s purchases. I provided the police with full details of the sales. Meanwhile, New Zealand Police Commissioner Mike Bush said police were confident a lone attacker was responsible for the shootings. “We believe absolutely there was only one attacker responsible for this,” he said. On Monday morning, two homes in New South Wales, Australia, were raided by police in connection with the mosque attacks. Officers from the NSW Joint Counter Terrorism Team executed a search warrant at a home in the town of Sandy Beach, near Coffs Harbour, 330 miles north of Sydney, at 8.30am (9.30pm Sunday GMT). A short time later, a second warrant was executed at a home further north in Lawrence, near MacLean. Thirty-one people remain in Christchurch Hospital after the mass shootings, nine of them in intensive care. A four-year-old girl is in a critical condition in Starship Hospital in Auckland, while her father is in the same hospital in a serious but stable condition. On Sunday, Ms Ardern said her office was one of more than 30 recipients of an emailed copy of the manifesto just nine minutes before guns were fired. In the video live-streamed by Tarrant, a man inside a mosque appears to say: “Welcome brother”, as a gunman approaches.